For this challenge, I chose to share things that struck me as fascinating (different from your normal environment) or that raised questions for me about the eclectic tchotchke we collect when we travel; the places we see; and the memories that linger of foreign lands – far and near. 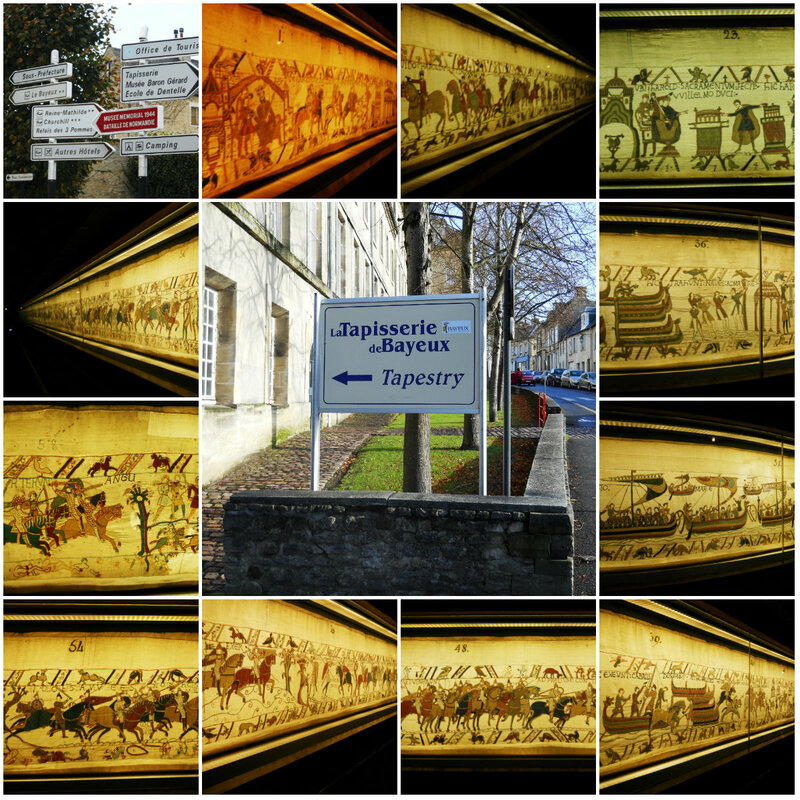 The famous Bayeux Tapestry above is made of linen embroidered with colored wool yarn, and is about 230 feet long showcasing fifty scenes with Latin captions. It depicts events leading up to the Norman conquest of England concerning William, Duke of Normandy and Harold, Earl of Wessex, later King of England, and culminating in the Battle of Hastings (wiki). It was made in the 1070s and disappeared for a while then rediscovered in 1729. When I saw it at the Bayeux Museum, it took my breath away. 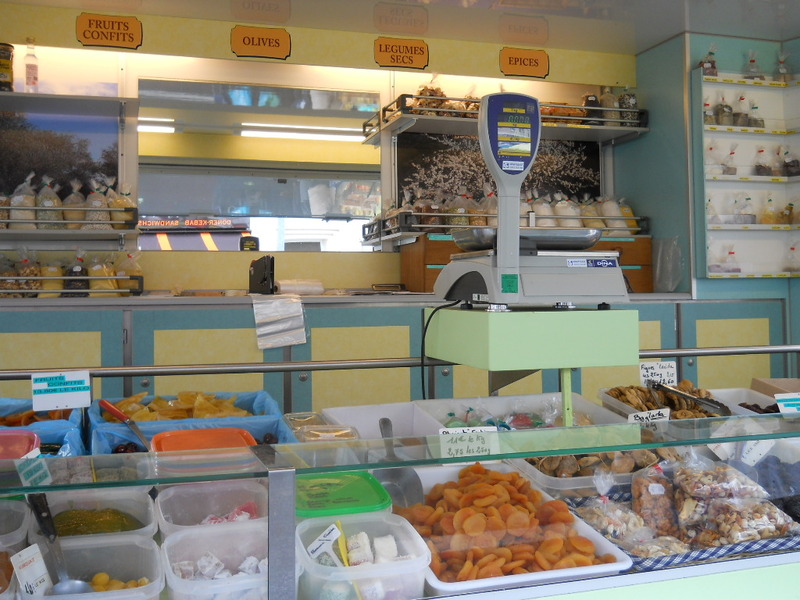 If we are to take Kipling’s words to heart, then nothing beats the smell of local french cuisine at an early morning market…. 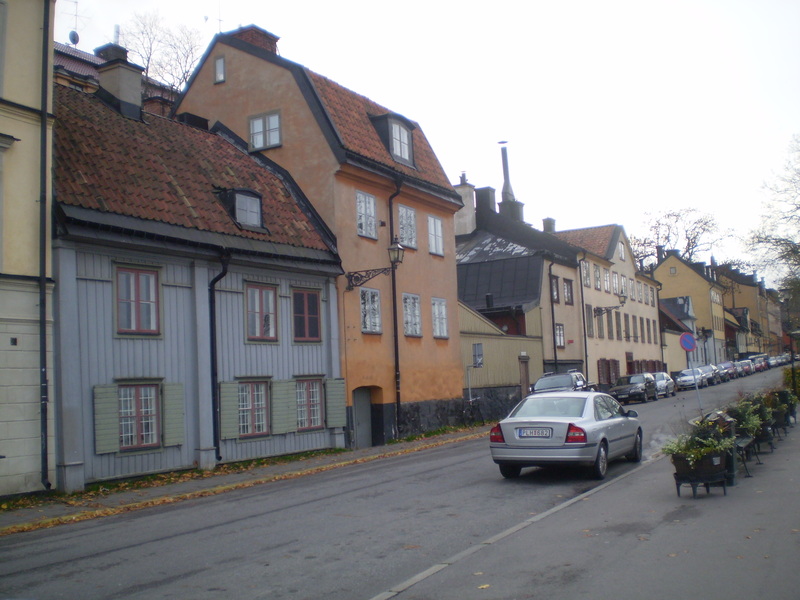 the soothing, incense filled air at a Kyoto temple, or try smelling the sweet, fresh air on a stroll in one Stockholm’s finest, tucked away neighborhoods. As I considered this one, food came to mind and, of course, language. 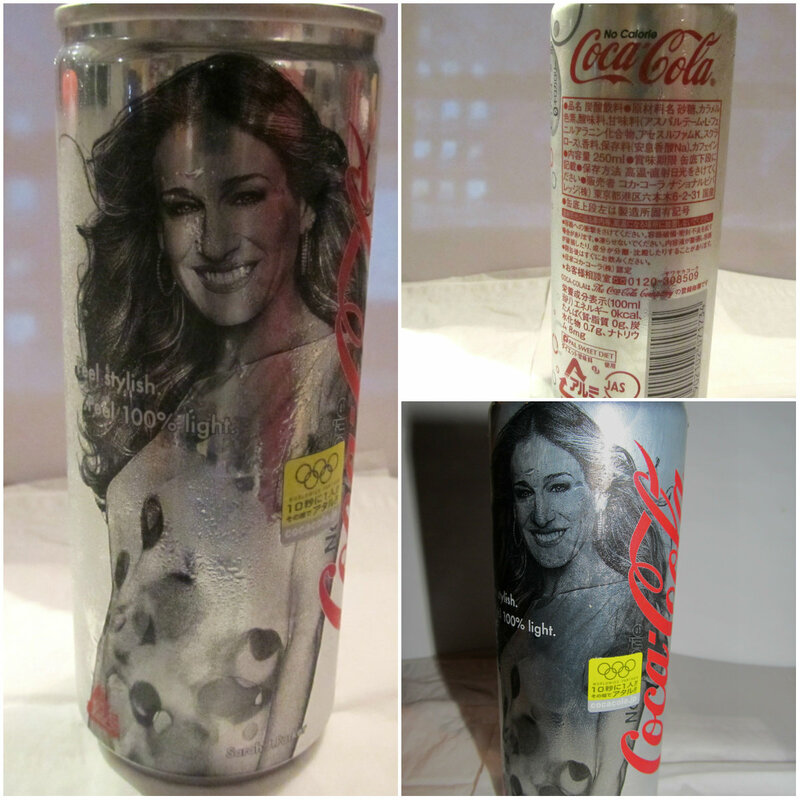 Sarah Jessica Parker was on a Coke can in Japan (years ago) and I thought it was kinda interesting… and saved a can. 😆 More below! 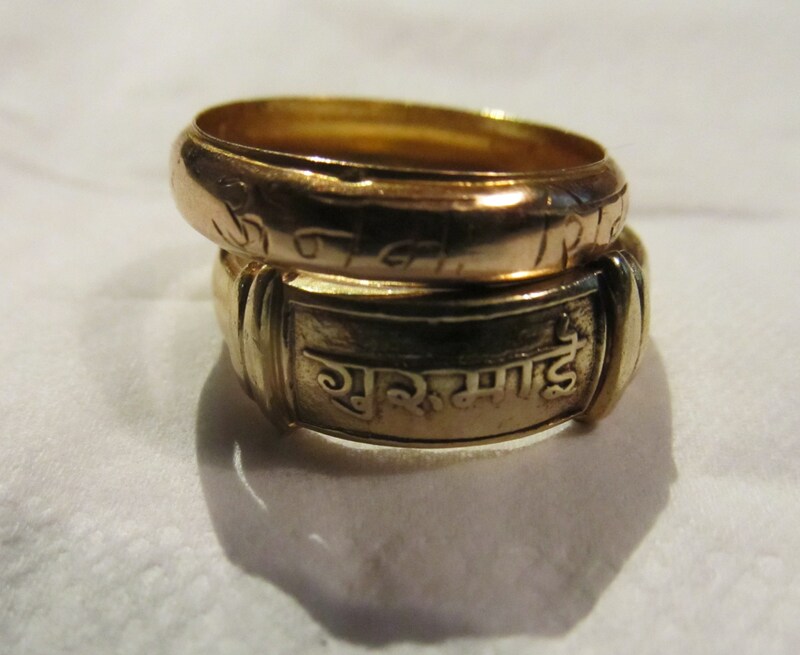 Weekly Photo Challenge: Foreign… My rings are from India… What does the script say? Since Halloween is upon us, I thought the first photo above would give us something to smile about. It speaks to Chesterton’s quote too. 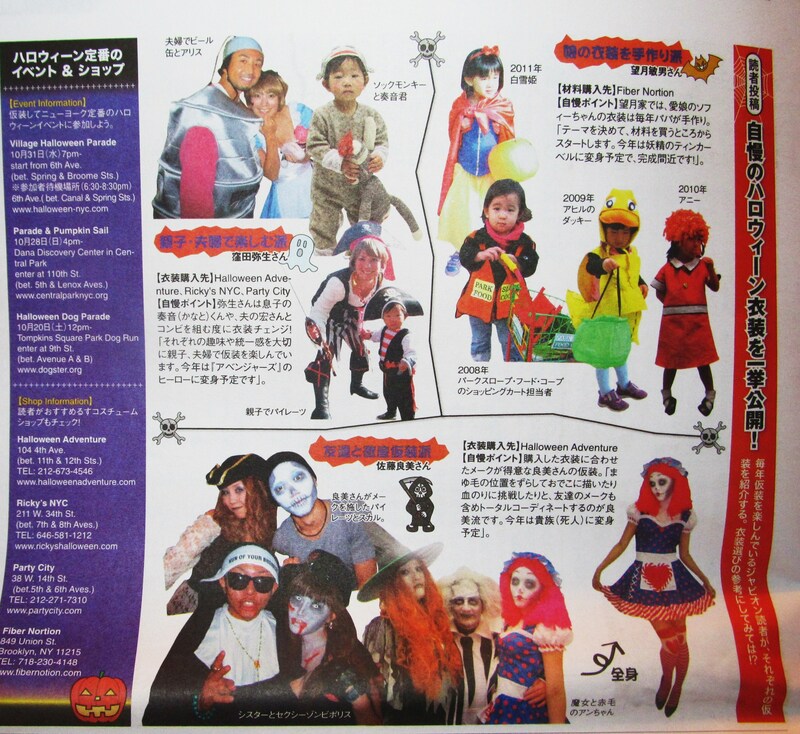 One of my daughters studies/speaks Japanese and reads the local Japan newspaper at college; so I borrowed the Halloween page. The remaining two shots are pretty clear. There are stories attached to them but I’ll save them for another day. 😉 What are your thoughts? What photos did you share on Foreign to fit the challenge? Was it easy/hard to find photos that supported your perspective on the subject? Were you drawn to certain types of photos for the prompt? Do share? Thank you! 🙂 Have an awesome weekend! This post was inspired by a prompt from WP Daily Post: Weekly Photo Challenge: Foreign. While foreign (rightly so) often brings up images of things outside of your own nation, it can also apply to things outside of or different from your normal environment, or even something which is out of place in general. I’m sure you’ll be able to find some great examples of this 🙂 My photo is from a recent trip to Bulgaria, where my inability to understand Cyrillic characters was one of the things which made *me* feel foreign. Share a picture which means FOREIGN to you! Weekly Photo Challenge; Foreign « So where’s the snow? 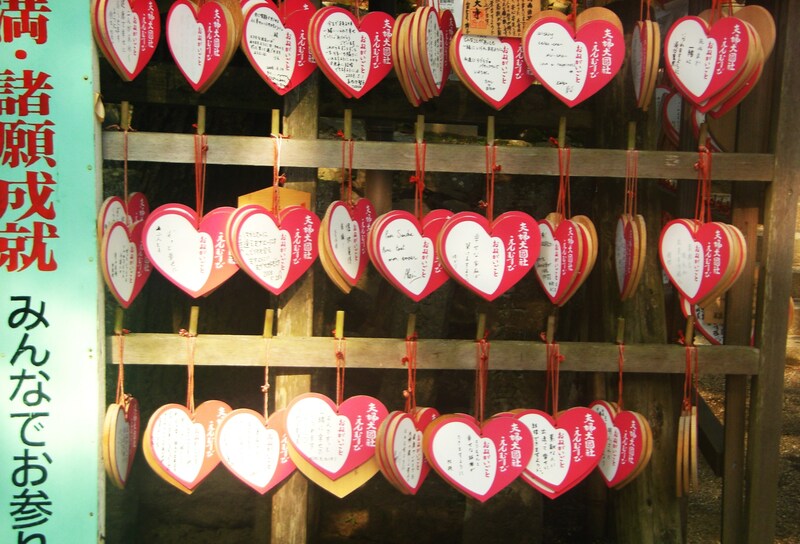 Weekly Photo Challenge: Foreign | Travel. Garden. Eat. What a special post, Elizabeth, I love it. Thank you for taking me on a trip around the world. Each photo is special. I’ve also seen the Bayeux Tapestry. An amazing piece of history…both in and of itself…and what it depicts. “There are no foreign lands. Another great quote to start the post! Gurumayi! I should have known 🙂 Beautiful post Eliz. What does ‘Oonam…..’ on the top ring stand for? 1070s? Wow, would love to see that tapestry in person. Always a good variety of photos, Eliz. Wow your daughter speaks japanese…fascinating!! Fabulous photos! And the quotes are superb. The very first one is so logical, so true, so profoundly simple! These are great. I love the variety. 🙂 Foreign things are fascinating to me. I wish I had time to participate, but I watch from afar and enjoy the awesome photos. My sister and hubby are missionaries in Japan. And along with their 3 children, they are fluent in Japanese. 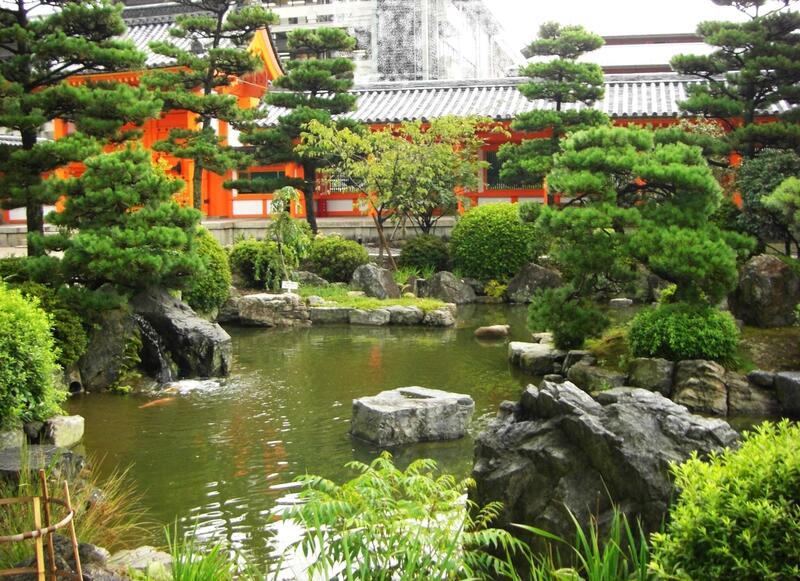 I visited Japan many, many years ago. It’s one of the best countries in the world. Loved the coke can with Sarah Jessica Parker…thanks for making me smile Eliz. What an interesting collection of photos. is so true. Each country has its own particular smell. Photos from different places, love your post Elizabeth. That coke can is cool, I bet my wife would have loved it (she used to watch the tv-series). You can probably sell it to some collector or something. Very good photographs and nice quote. Love the pictures, love the stories, Elizabeth! Wonderful quotes! Nicely foreign Elizabeth. My son spent a couple of years in Japan studying for his Sensei licence in Judo and came back fluent. Apparently the spoken part is quite open. My youngest is also studying the language with hopes of working there for a while after she graduates uni. I love the quotes you’ve included, especially the RLS one. Sometimes, when I come to England, or come to Canada after months of being away I feel quite foreign until I get back into the swing of things. Such a lovely assortment of photos from foreign lands. That coke can is a riot… and I still have it. 😉 TY! Each photo compliments the other wonderful collection of photo’s. I almost overlooked the elephant on the fertility doll. I also appreciate the quotes. The collection of photo’s makes me want to travel and see and smell a new places. :+) I thnk outdoor food markets are wonderful. I hope Sandy doesn’t cause too much difficulties. Great photos! Japan’s coke in can’s so nice! Love Jessica Parker! Elizabeth, this is a beautiful post exposing your readers to the beauty of many lands. I can’t tell you how much I enjoy seeing your lovely comments on my blog when you play catch-up. Thank you! Very wide varieties of Foreign subject photos. Jealous of your seeing the Bayeaux tapestry! I read a book about it this past summer, very interesting story. There are still a variety of interpretations on what parts of specific parts of it mean. Great collection and fitting quote! Love your take ‘foreign,’ Elizabeth. Thank you Marcia and glad to see you here and safe too. Condolences for the Hurricane losses in Jamaica… Hope the recovery process is on track. Elizabeth, thanks for visiting my blog. What a pleasure to have discovered your blog through your visit. There’s lots to inspire me here, and now I need to go search out some of my favorite foreign pics. I love your insertion of quotes. Great idea! Mind if I try to copy your wonderful style? 🙂 Hope you’ll come back to visit soon. 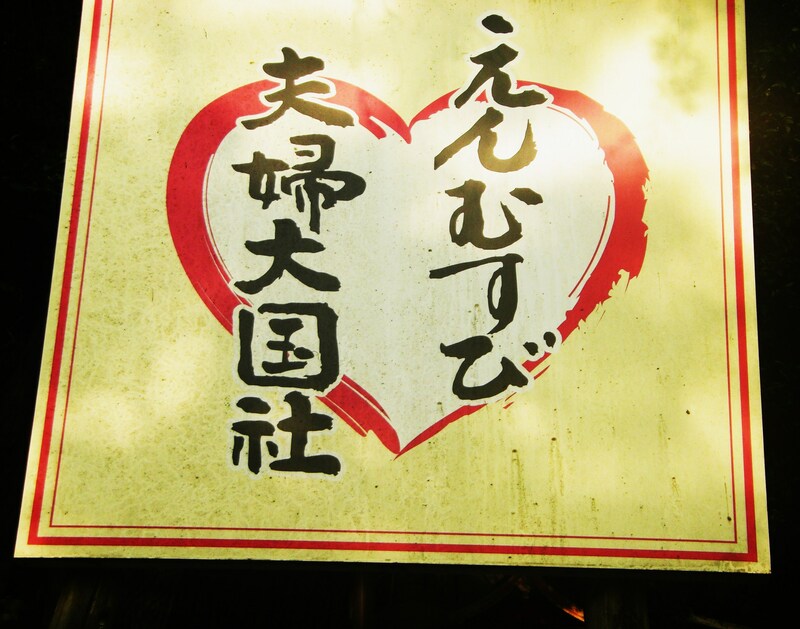 Do my best anyway!! See you soon. Great examples of foreign! Thanks for the world tour. I love the Kipling quotation in combination with the photos. Maybe we could have virtual scratch and sniff photo challenge of our own. Imagining the smells in your photos enriched my experience, although I’m not sure what I was suppose to smell with the Sarah Jessica Parker coke can. haha. A virtual sniff would be interesting , no? Maybe imagine the coke cola taste with Jessica smiling in the background… 😆 TY! The coke cans with Sarah Jessica Parker are my favorite! How hilarious! Great post as always! Great post. I always enjoy your quotes and that one by Kipling is one of my faves. Beautiful images and words that lights up our world and makes us smile. Thanks. Have a blessed week. 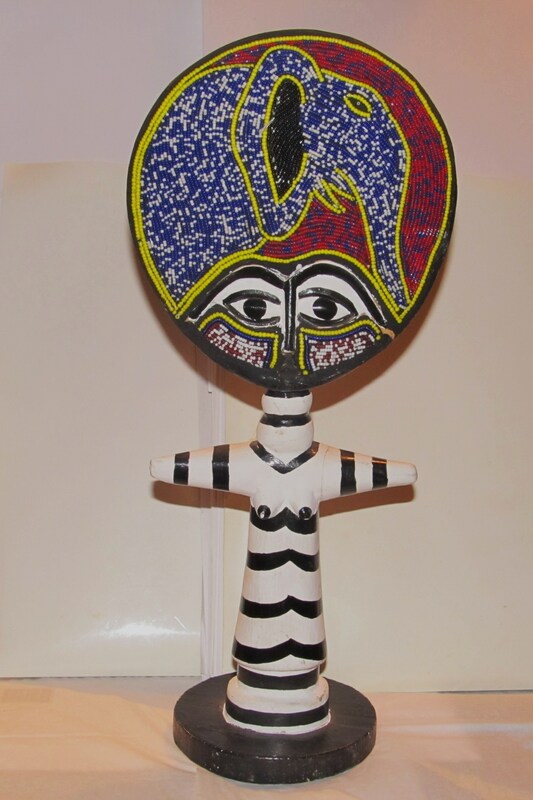 great collection you have Liz…..I love all the photos…..
great collection, Liz. I love all the photos, and that collage! Gorgeous pics. Really enjoyed this post! Lovely collection ! esp like the tapestry and of course, the rings! What a wonderful variety. The Stevenson and Kipling quotes are so true. Thanks. You can see other interpretations of “foreign” at the week’s weekly photo challenge page . Exciting images that celebrtates the fun and joy in experiencing something foreign. I think it is a great way to enrich ourselves from what’s out there particularly those that comes from other cultures. Makes the world smaller, more reacheable. A great post, Elizabeth. I have a replica tapestry of a section of the Bayeux Tapestry hanging in my living room. (Of course, I chose a scene featuring my hero, Harold Godwinson, and NOT William the Conqueror.) I have been to see it twice, and every time it amazes me. My historical novel is immediately post-conquest, and that era is still very interesting to me.